Simply getting to Antarctica is a big enough adventure for many, but for those who want to maximise their Antarctic experience there are some outstanding add-on adventure activities to consider; including camping, kayaking and snowshoeing. Are Adventure Activities for me? Few people can say they've been to Antarctica, but even less have camped out overnight on the ice, snow shoed with penguins or had a humpback whale swim under their kayak. 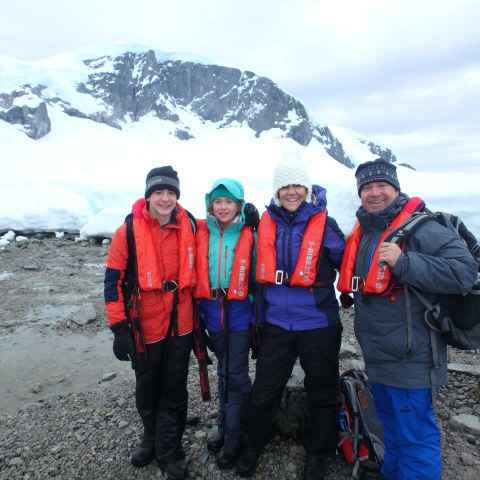 The reasons for considering these adventure activities are many - from trying something totally different to exploring Antarctica from other angles as part of a small group - and let's not forget the sheer fun and enjoyment factor! We can't think of many things more exciting than grabbing a sleeping bag and heading out for a night’s camping on the ice. A must for anyone with a sense of adventure and happy roughing it for a night, in return for some serious brag points back home. You'll spend the night listening to the creaking ice and the gabble of penguins while snugly cocooned in your tent or bivvy bag, before returning to the ship early the next morning for a well deserved hot shower and hearty breakfast. Camping is commonly available on the majority of voyages. If you're looking for more activity during your Antarctic cruise and like the idea of experiencing Antarctica from a different perspective, why not jump into a sea kayak? Away from the zodiac’s outboard engines, kayaking allows you to fully appreciate the silence and majesty of Antarctica as part of a small group; the fizz and pop of ice, close encounters with wildlife and towering icebergs, the exhilaration of pushing through brash ice. Kayaking is commonly available on the majority of voyages with the chance to go out as often as conditions allow. This fun activity offers a great way to explore further afield, beyond the scope of standard excursions, while burning off a few calories! Typically 2-3 hours in length, no prior experience is necessary, only a moderate level of fitness. Most ships are flexible with their snowshoeing trips and they'll have some top spots for hiking already in mind before you set off. Snow conditions for snowshoeing are at their best earlier in the season (Nov - Dec). If this appeals it’s worth knowing that a number of the ships don’t charge extra for this activity. For those who are physically fit and looking for a more exciting challenge, select voyages offer the opportunity to rope up and try something a bit more adventurous. The big drawcard of mountaineering is that it gets you away from the beaten track and into corners of the Antarctic Peninsula few other visitors get to experience. The panoramic views from the top are always well worth the effort. Mountaineering as part of a voyage typically takes at least half a day and no prior experience is required. Only available on a small selection of ships. The opportunity to dive in Antarctica and explore a world of ice and sea creatures in one of the most pristine places in the world is a hard one to resist for any keen diver. However, scuba diving in Antarctica is a very different undertaking than in warmer waters and as such is strictly controlled. To ensure your safety and enjoyment on the trip, all divers need to provide their ‘dive cv’ demonstrating extensive cold water dive experience (below 5 degrees), as well as familiarity with using a drysuit before being accepted. Diving is only available on a small number of ships and on select departure dates. The quiet, protected waters of the Antarctic Peninsula, ringed in by dramatic scenery on all sides, is an epic location for stand up paddleboarding and takes this growing sport to a whole new level. Some prior experience is recommended so you're comfortable on a board and can enjoy the experience, but otherwise everything else is provided, including a dry suit - just in case you fall in! 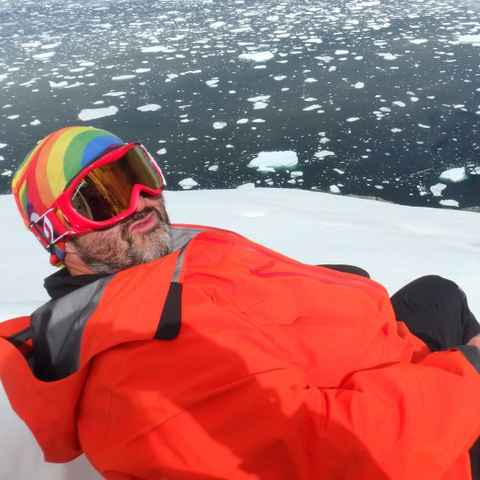 This fun activity is currently only available on two Antarctic ships and needs to be pre booked. 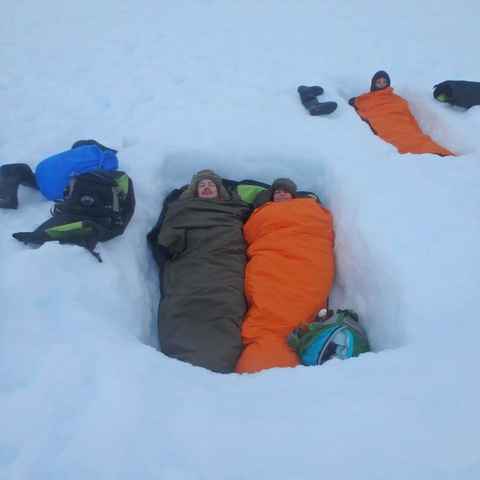 We were in a snow hole (grave) and it was the best nights sleep I have ever had camping in my life - and completely surreal to wake up in that hole and see the dawn in Antarctica - completely magical. Kayaking through brash ice, overshadowed by towering 100 foot high icebergs was breathaking, very emotional and inspiring. My highlight was kayaking on Christmas morning in a snowstorm. I loved the blue icebergs and the thousands of penguins, seals and whales. Highlights include having a penguin staring at me for half an hour while I was just sitting in my sleeping bag, and watching 6 orcas circling a small iceberg to hunt the seals lying there. The captain stopped the boat while we watched transfixed for half an hour. The mountaineering was excellent. We were so lucky as we got to climb an untouched peak! Kayaking was a big highlight for me, with whales breaching beside us, penguins swimming in front and beside the kayak and icebergs. The best part of the trip for me were the excursions and the optional activities. Being on land, so close to the wildlife is a great experience. I also did kayaking, which I would recommend to anyone. These optional activities normally carry an additional cost. Expect to pay an extra USD$250 - $1,200 per person, depending on your chosen activity. Camping is the least expensive activity and only happens once per voyage, while most other activities you’ll do more than once. E.g Kayaking is offered most days, as long as conditions are good. It’s worth noting that certain ships include complimentary camping &/or snowshoeing in the voyage cost. In our experience, signing up to an adventure activity can massively enhance your overall trip. Plus, it ​couldn’t be easier as ​most​ ​options ​require little prior experience and all the necessary kit is provided. 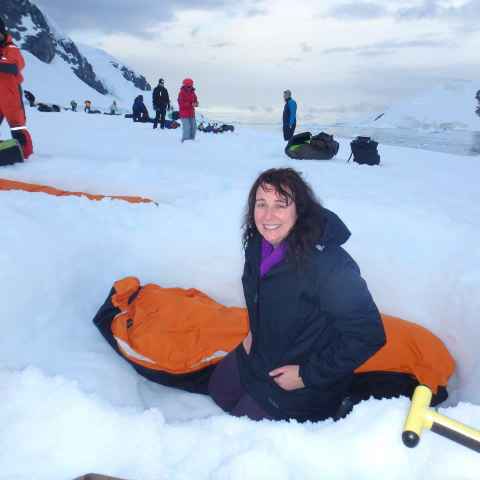 These optional adventure activities are really fun and an amazing way to maximise your Antarctic adventure. How many other chances will you have in your life to camp or kayak in Antarctica? Moderate fitness is a good idea and will allow you to fully enjoy these activities, but is not essential. There’s no age limit to any of these activities. Kayakers need to be able to get themselves in and out of their kayak. How large is the group size for each activity? The group size for each activity is always limited and depends on the activity and ship you choose. Typically kayaking is limited to only 10 - 14 people, so very select, while camping, snowshoeing and hiking groups tend to have approx. 20 - 30 people. Do I need to book Adventure Activities in advance? Yes. Due to the limited spaces it's crucial to book your places at the same time as you book your cabin to avoid disappointment. Do I need to bring any of my own kit? No, any specialist kit or clothing needed for any of these activities will be provided by the ship, with the exception of diving where you need to bring your own equipment, apart from weight belts and tanks. Absolutely! Kayaking and camping combine really well. For those who want to get a taste of lots of different activities, this Antarctic Basecamp Adventure is ideal.